It has been a good year. I have a new grandchild, and my children are all doing well. I am hoping for a good 2018 as well. I am all signed up to take my final course for my BA in English and should be graduating in May 2018. I may have to back off on my reviews and reading to a minimum in the Spring 2018 because of the class I will be taking, Biology. I will need to read and study for the class more than I did for my English class I just finished up. I started this blog to have something to do when I finish my degree. I like to keep busy at night and thought this would be a good way to keep busy and still keep my mind active. I enjoy reading and love to find new authors to read, and this blog has helped me to expand my library. I was playing with the idea of doing this blog when I connected with a new author to me, Sue Colletta, little did I know that she would become a great resource to me and help me get my blog up and running. She is a great author and a great person. @SueColletta1, thank you for your help and guidance in setting up my blog and expanding my library and my mind. I look forward to one day in the near future, meeting you in person and having a cup of coffee with you. Thank you also for guiding me and telling me to contact Rosie Amber, she has also become a great resource for me and I am a huge fan of hers and glad to be part of her review team. @rosieamber1, thank you for your guidance. You are both great resources and I am happy to call you both friend. 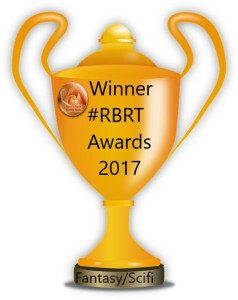 Congratulations to all of the winners of the #RBRT 2017 Book Awards! It is the end of another busy year of book reviewing for my team. George is a middle-management, middle-class, middle-aged guy who hates his job and struggles to stay connected to his wife and teenage children. Most guys might end up with a steamy affair and a flashy car for their midlife crisis, but George gets a quirky, philosophical physics professor named Shiloh. Trapped with this mysterious misfit on his morning commuter train, George is dragged into awkward conversations about love, fear, music, and the meaning of life. Shiloh asks George to beta-test an app he wrote for the new Apple Watch–and with a free watch included, how could he say no? WWW – WEDNESDAY, DECEMBER 6, 2017; What have I been reading this week? A beautiful read about a billionaire who is fighting to regain his life, and a young woman who is struggling to make her dreams come true. This book was well written and I really enjoyed reading it. 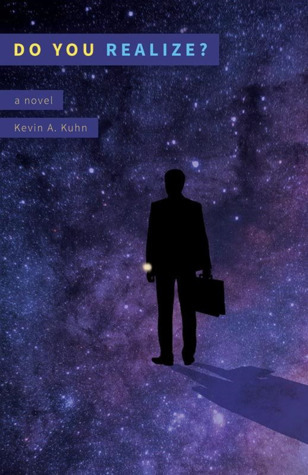 There is love found, tragedy, and a sense of belonging in this book. A book in the Kelly Elliott Wanted Kindle World. I am looking forward to reading this one. The first in a series. I am looking forward to this one as well. It looks good. I don’t normally do this, but today I need to post something really personal. I am only posting this to my blog because I just needed to get it off my mind so that I can concentrate on work. I know that it won’t clear it from my mind, but I needed to get the thoughts out of my head today. We were informed on Tuesday night that a cousin, Jimmy, passed in his sleep.He had a heart attack. The issue I am having with this is that he was only 33 years old. He was a young man who had so much going for him. He had a rough start, but he had come around and had made good choices in his life. He had a beautiful little girl who was the apple of his eye. His mother is my husbands cousin. We spent Thanksgiving together when our kids were young and the tradition was carried on. Up until the past couple of years, we were still celebrating Thanksgiving together. He was one year older than my oldest child. He had one of those smiles that lit up his face when he genuinely smiled at you. He had those smiles of recognition where they didn’t reach his eyes, but when he was truly happy and enjoying life, his face just lit up when he smiled. He had a heart of gold and was such a sweet little boy, and grew up to be a sweet young man. I can remember during Thanksgiving when his mother would stress so because he was such an active little boy. He was a hyper little boy and his mother always worried too much some times that he was being loud and rambunctious, but he was never doing anything wrong. She is a wonderful mother. Jimmy always held a special place in my heart because he was such a sweetheart, and always seemed to be happy. He was a handsome young man, a great father, a hard worker, and a special young man. I hope that he is with his grandmother, niece, and other family members that left before him and looking down on his daughter, sister, mother, and anyone else that he loves. Please remember to tell the ones you love that you love them, keep in mind that life is too short to hold grudges, be mean or angry with people. Enjoy the life you have and spend as much time as you can doing what you want. RIP Jimmy, you will be missed by many. You were a loved young man who made a difference in many lives. Love you Jim. WWW Wednesday, November 22, 2017 – What I am reading this week. I loved this book. A beautiful love story between two very different people, but they work very well together. What will you read next? I will start The Plan, by Ella James once I finish reading On Her Guard. Currently reading: I am almost half through “The Keys to my Diary, Marina”, by Ann Omasta. I am enjoying the life of Marina and her journey through life as a single woman. I should be able to finish the book in the next couple of days. Recently finished:I recently finished reading “Heart of a Cowboy”, by Kristin Vayden. This story pulled at my heartstrings in many ways. I loved the book! Reading Next: My next read will be “A Hero’s Honor”, by Tessa Layne. I am looking forward to reading this book. Don’t you love the front cover? We spent Halloween with our daughter, son in-law, granddaughter, and grandson. Our grandson is only two months old, but he was dressed up as a skunk, and our granddaughter was a Belle from Beauty and the Beast, she is three. I walked around and went trick or treating with them. My granddaughter was so proud of herself when said trick or treat, although it was usually after she got the candy. She learned very quickly about bowls on the porch with candy in it. Her mother told her there was a note with them that told how much candy they could take. As soon as her mother told her how much she could take, she promptly counted out that many and put them in her pumpkin. My reading for this week has been on the light side, it was a busy week at work as well, especially with a short week for me, because I took Tuesday and Wednesday off for Halloween. My daughter lives 4 hours away from us, so we stay over when we go to visit. I read “Wormwood”, by Larry Enmon this past week, and reviewed it. A great read, you should buy it and read it. I am three quarters into a book and should be finishing it soon. I’m reading “The Betrayal”, by Anne Allen. I am really enjoying the book. I love these crime thrillers. You should buy this book too, and read it. My next book that I will begin reading next will be “Innocent Lies”, by Chris Collett. I have some others that I am waiting to hear back on to read and review as well as being involved in the blitz for them to come out.